Kingfisher's Clear Epoxy Primer & Coating is a versatile high-performance epoxy resin sealer, primer and coating. It is ideal for sealing most concrete and masonry surfaces. Our clear epoxy coating protects and maintains a stable, high-quality concrete surface, especially where protection from immersion is required. 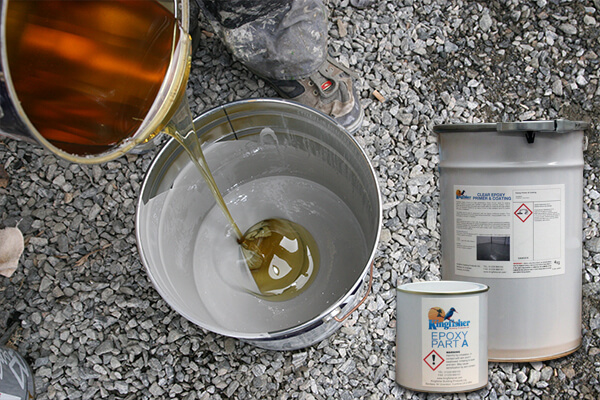 We have extensive experience and expertise in developing and supplying concrete and damp proofing products. This ensures that you can expect the highest quality products. Our two-part epoxy primer is very durable but also offers a smooth finish that will always impress. Perfect for coating industrial floors and high traffic areas, this clear epoxy coating for concrete floors is second to none. It offers exceptional abrasion resistance as well as providing a smooth and beautiful finish. 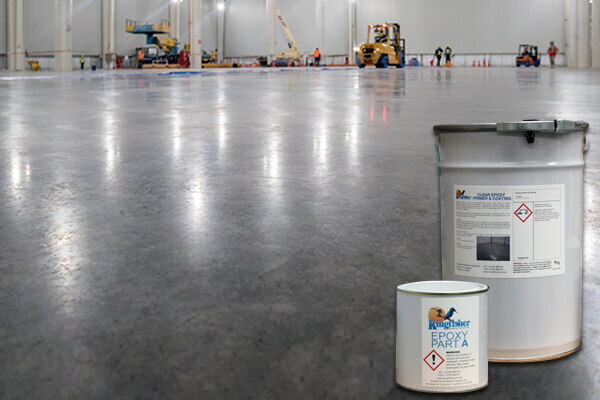 Our clear epoxy coating for concrete floors is not just perfect for coating industrial floors and high traffic areas. It can also be used for concrete countertops and food preparation areas. Clear Epoxy Primer & Coating can also be blinded with quartz sand (while tacky) to create a durable anti-slip surface finish. Clear Epoxy Primer & Coating is an essential companion to our Damp Floor Epoxy Sealer Kit. It provides a high integrity bond to the concrete substrate. (You typically need only 1 x primer pack per 4 x Damp Floor Epoxy Sealer Kits). The membrane formed by our Clear Epoxy Primer & Coating is also moisture resistant. 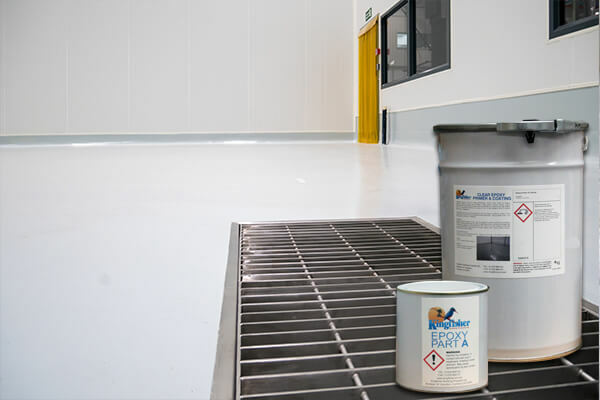 Two coats can be used to control minor signs of damp ingress on older concrete floors. Before applying this two-part epoxy primer, it is wise to prepare and clean the flooring. Once the flooring is prepared, this product is very easy to apply and will enliven the space. Once applied, our two-part epoxy primer makes the surface very easy to clean. Used this to stop people slipping on a concrete ramp that was just too smooth and slippery in we weather. Very sticky to use but sand really bonded to it and has roughened the surface enough to make safe again.